Mike Cordoba is a highly active and driven entrepreneur and a founding partner of Empresario Capital Partners. His experience includes managing a portfolio of public and private companies in excess of $1billion in total revenue in various industries including restaurants, retail, manufacturing and processing, and real estate. In his executive capacity, he has built companies from the ground up to become industry leaders in their segments. 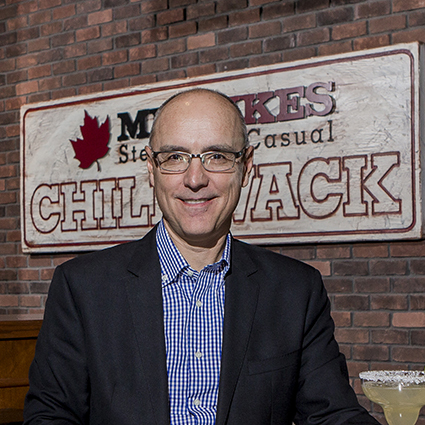 Mike currently sits on various company boards and is Chair of the Board for Mr. Lube. He is an enthusiastic supporter of many community groups with a personal passion for organizations focused on children’s health and well-being. Mike is the father of two and is an avid golfer who believes in golf technology hence he has one the largest collections of golf drivers and putters in Western Canada. Mike is a passionate boater and collector of both classic cars and Chicago Bears memorabilia.